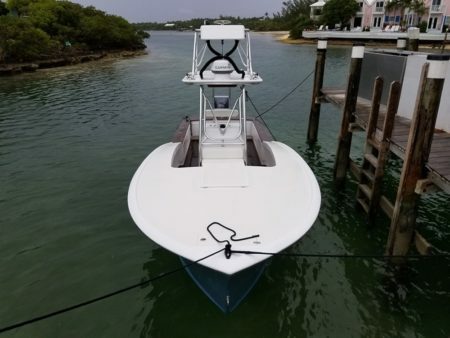 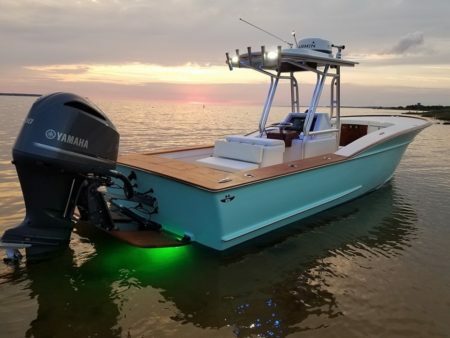 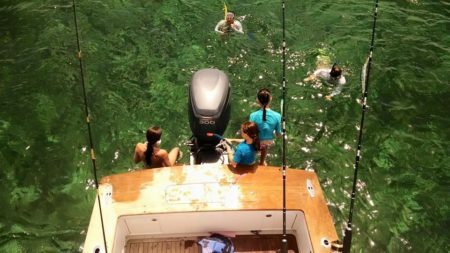 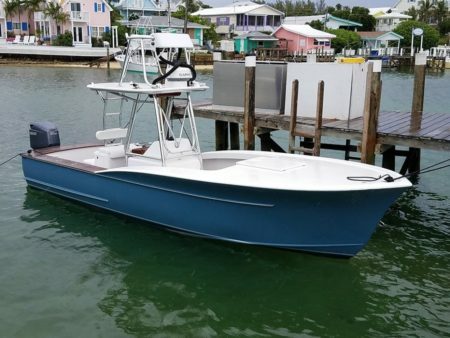 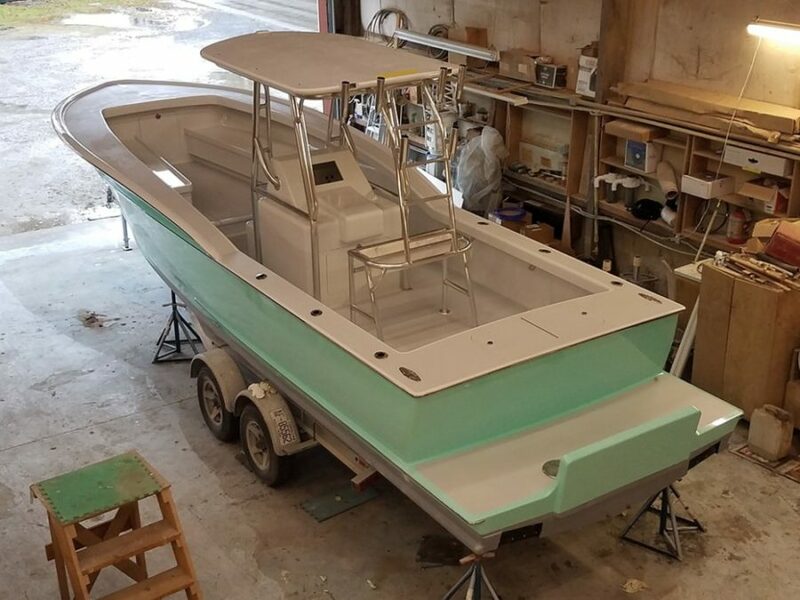 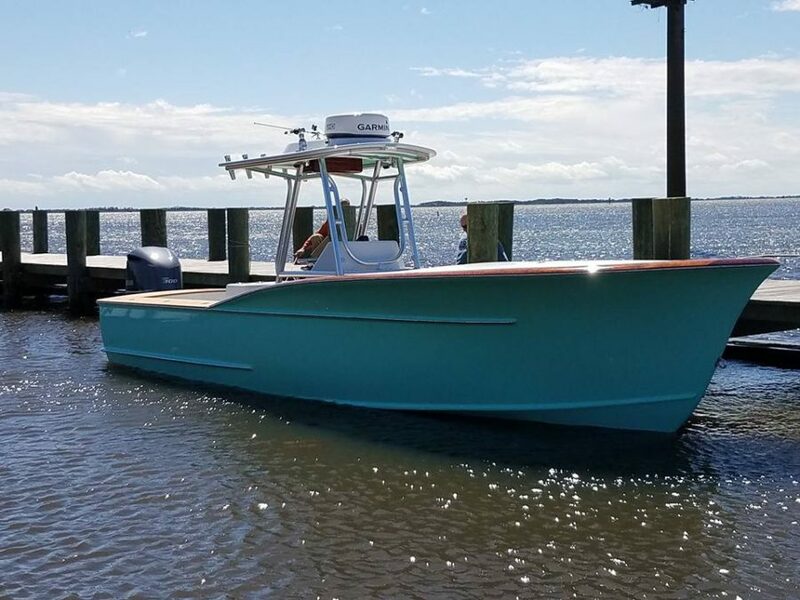 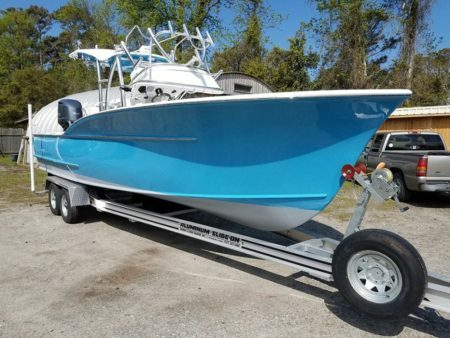 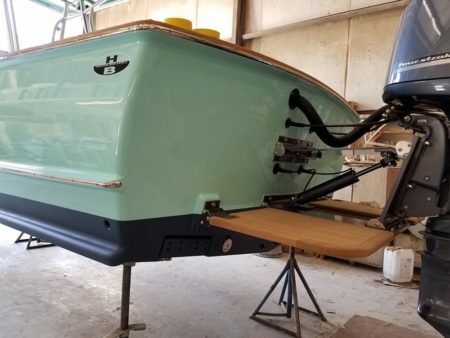 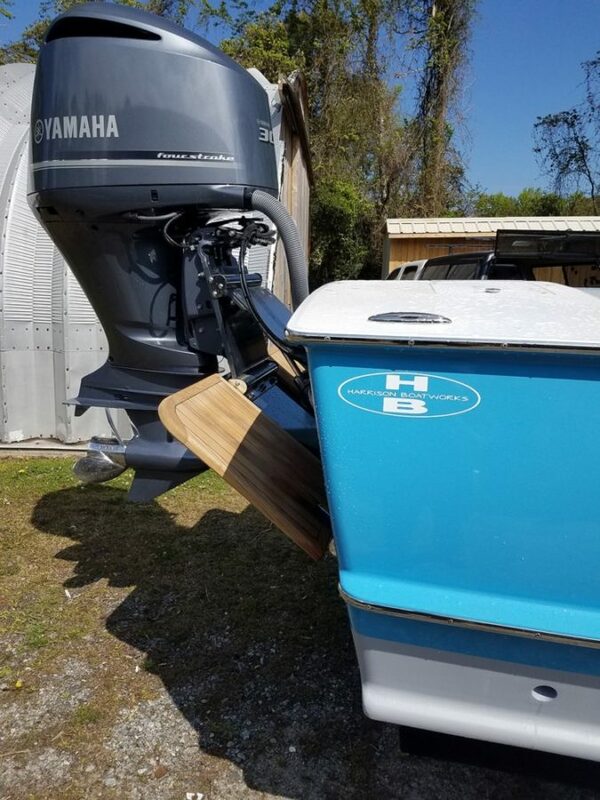 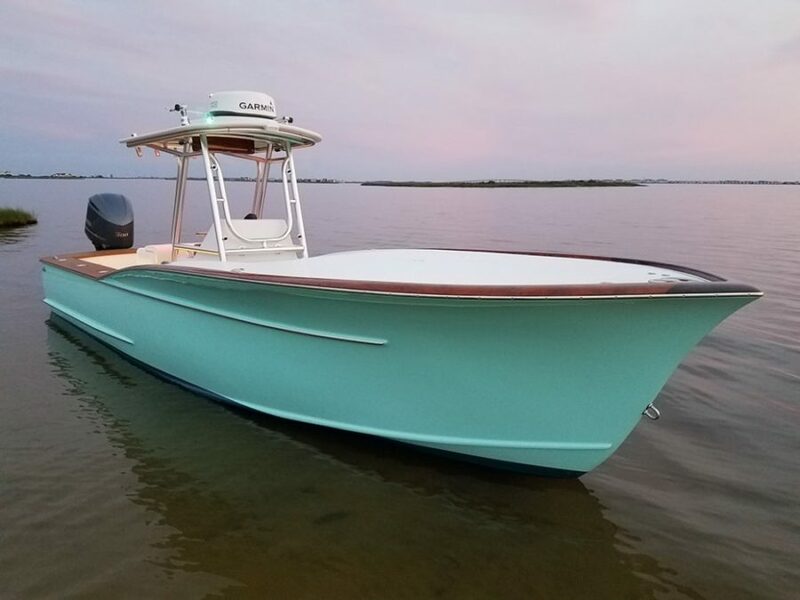 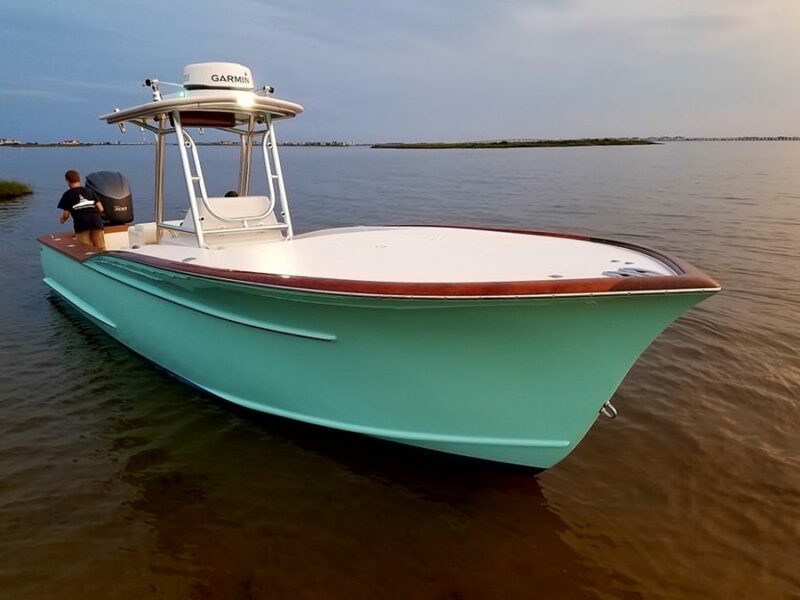 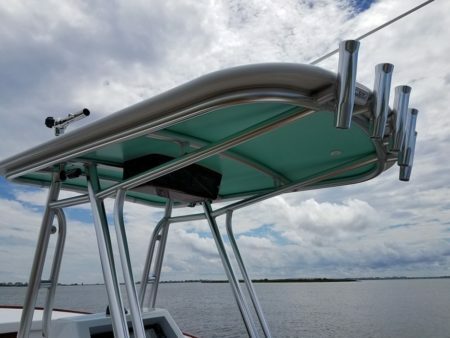 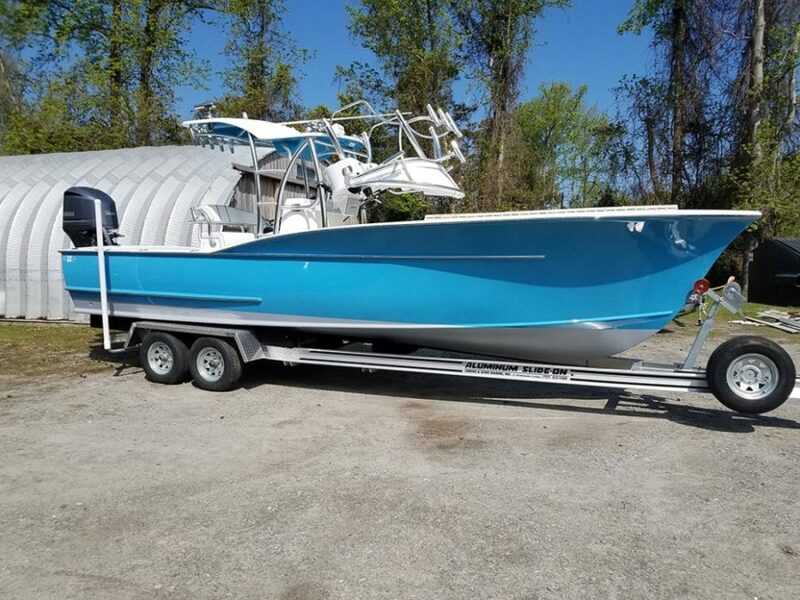 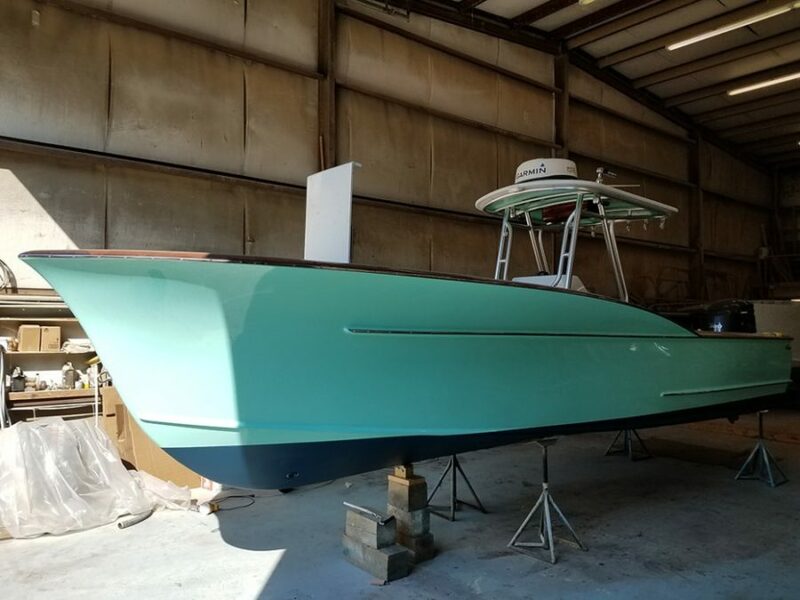 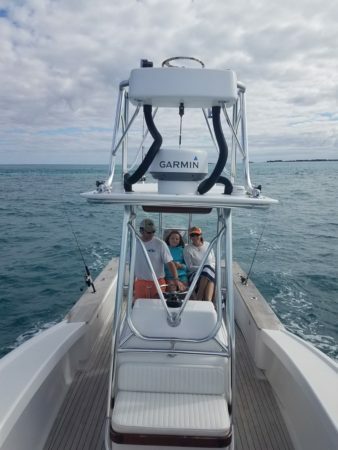 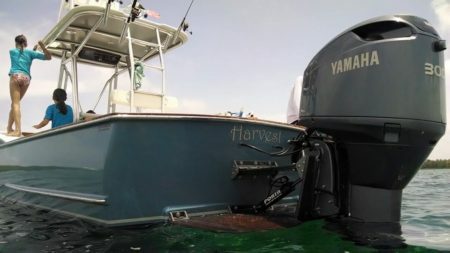 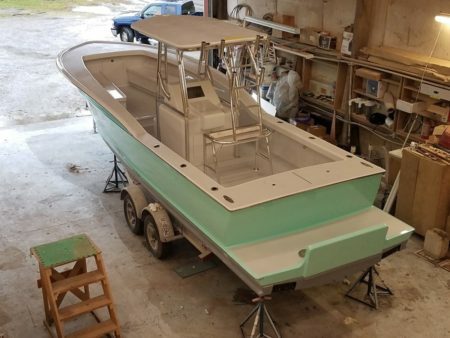 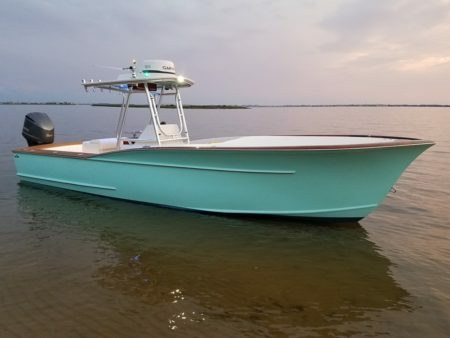 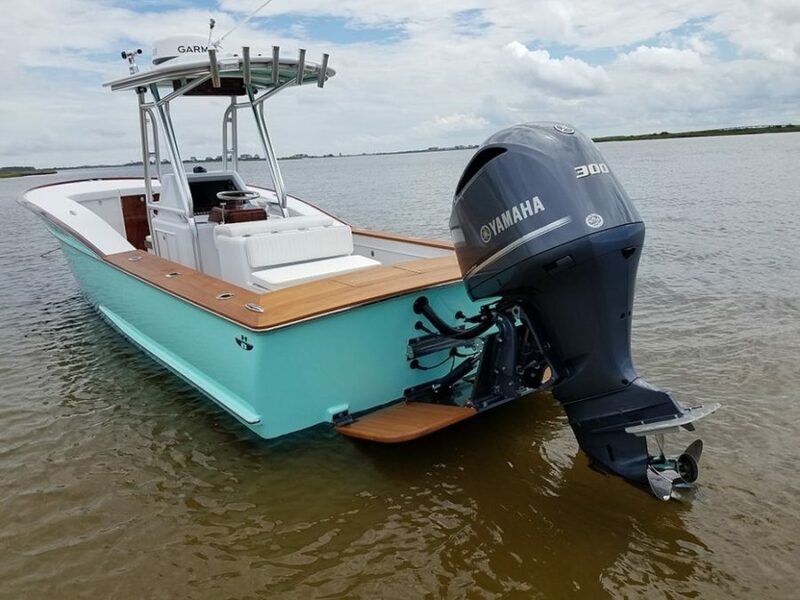 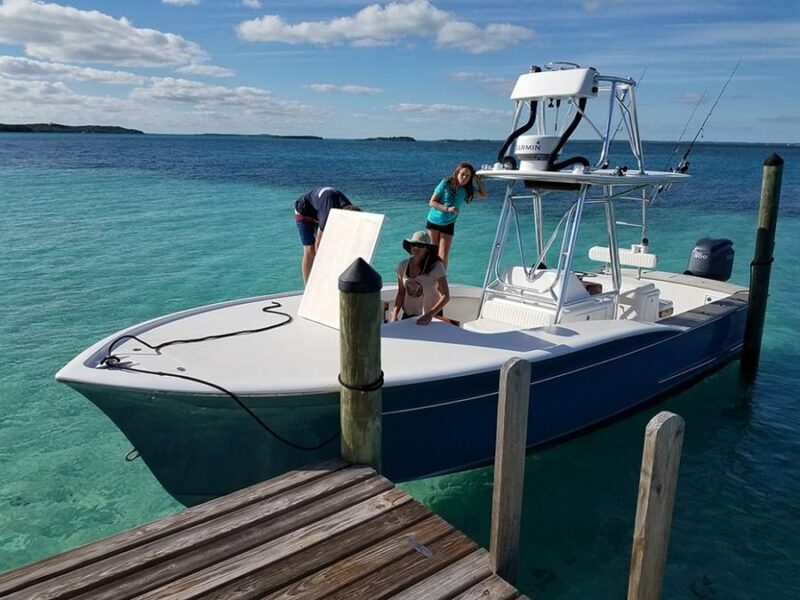 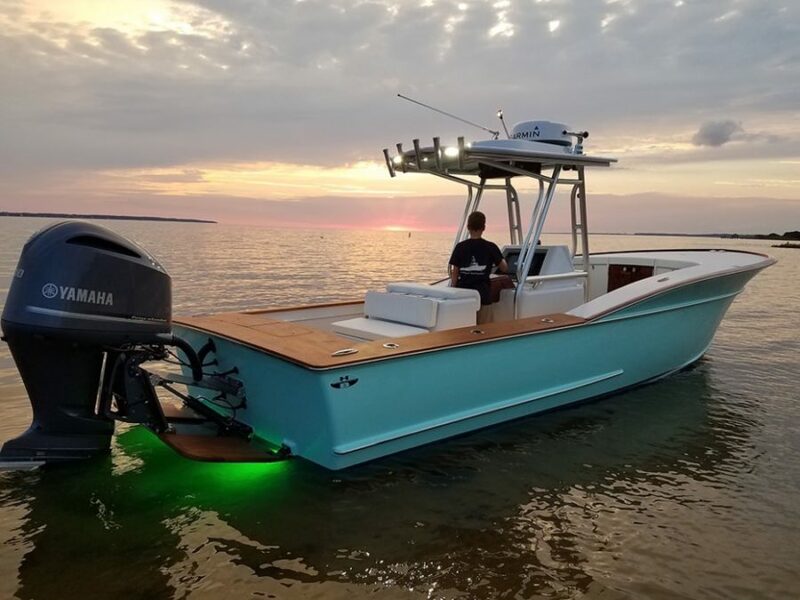 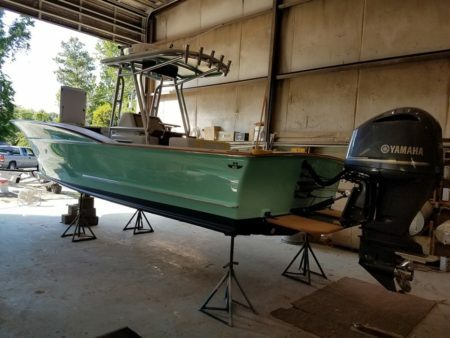 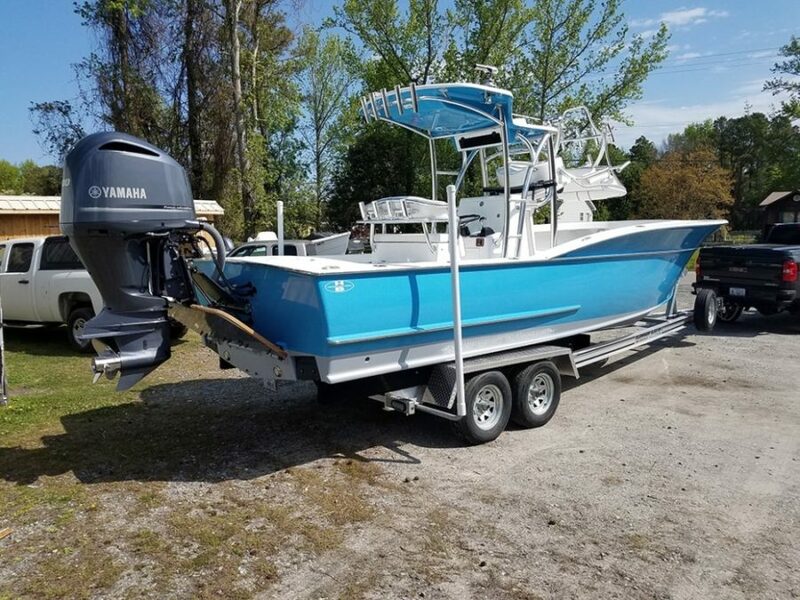 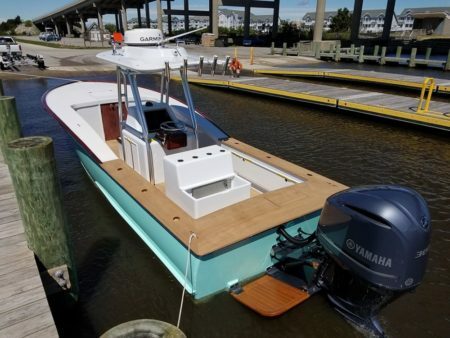 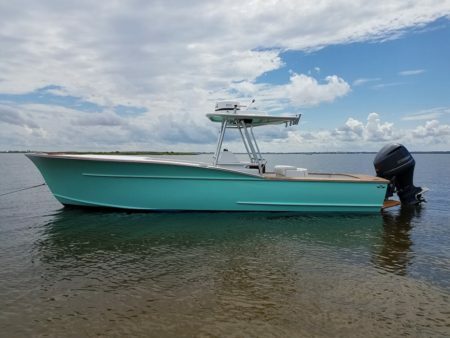 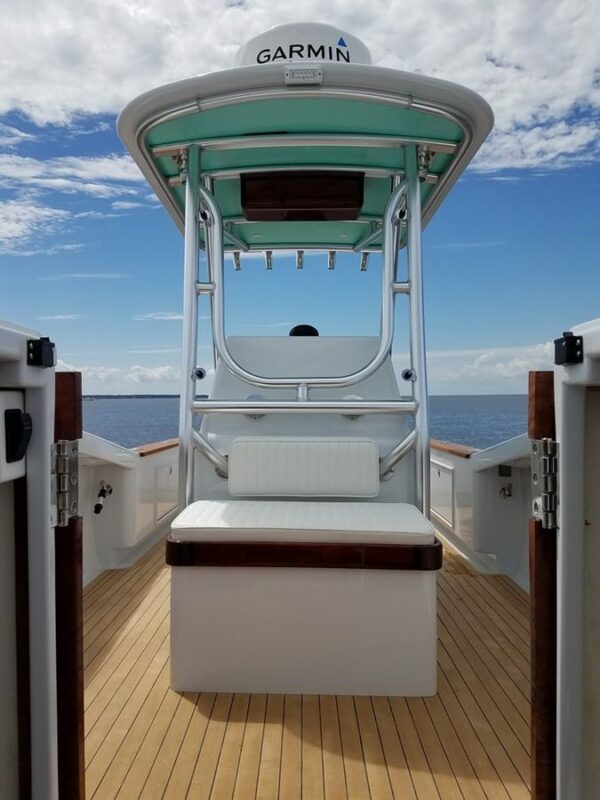 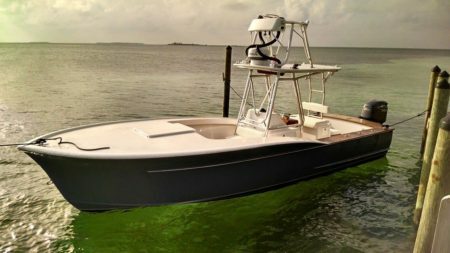 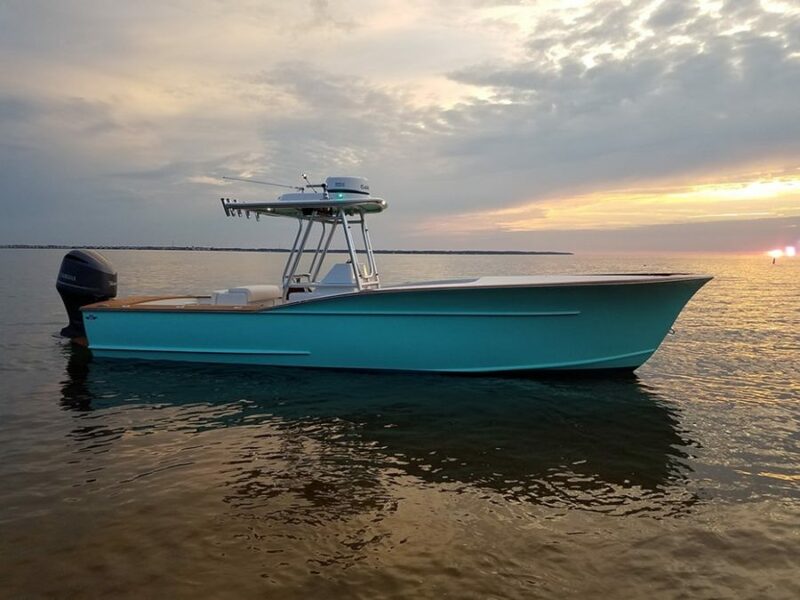 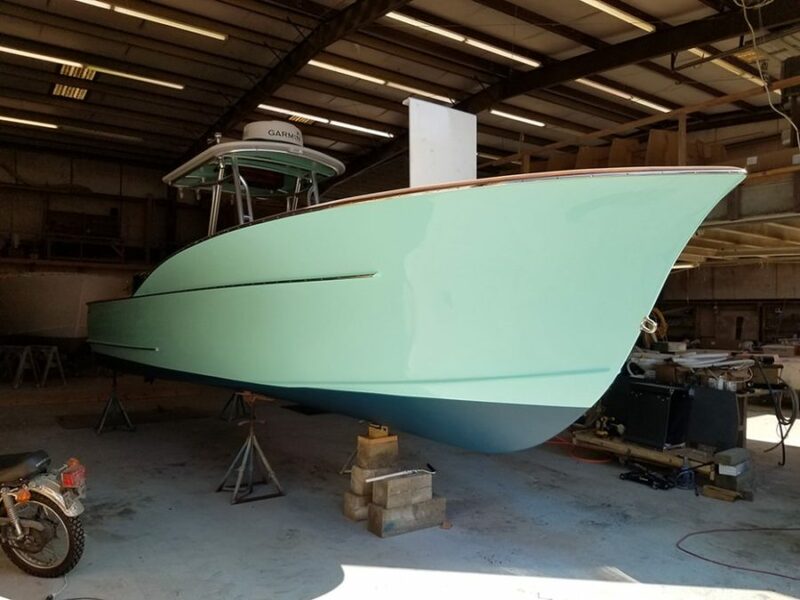 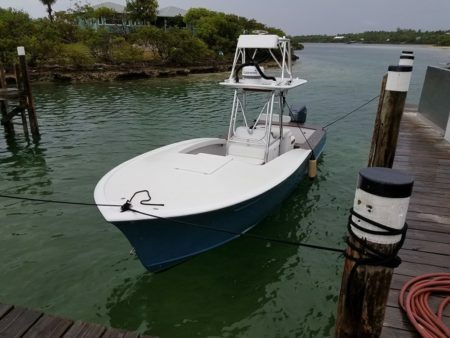 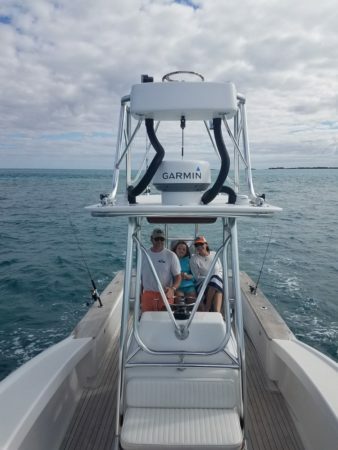 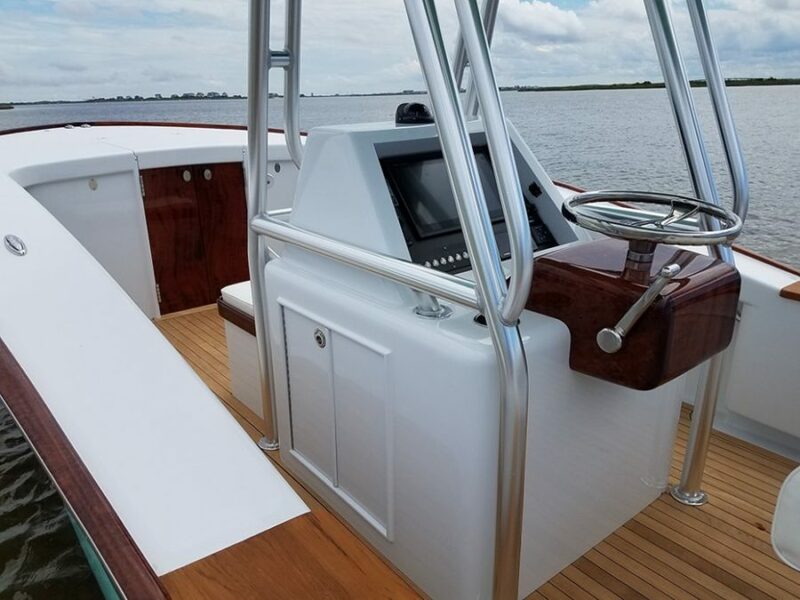 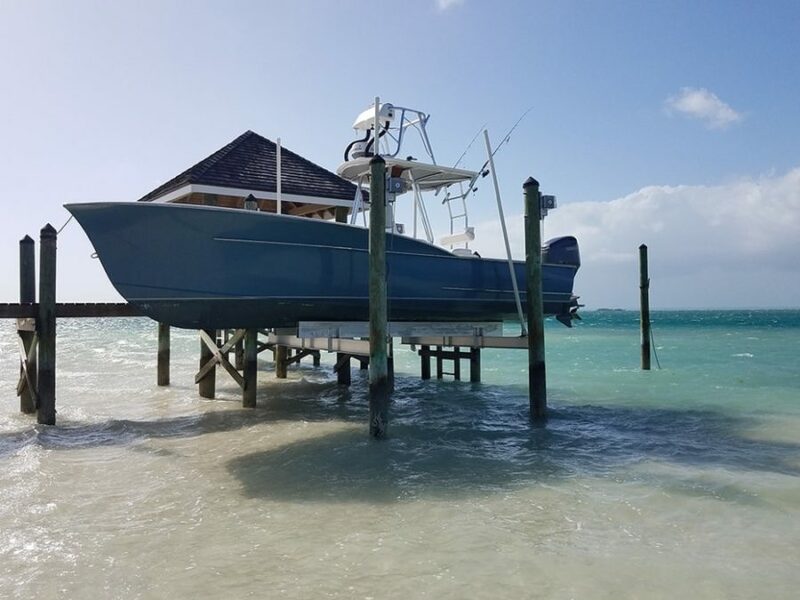 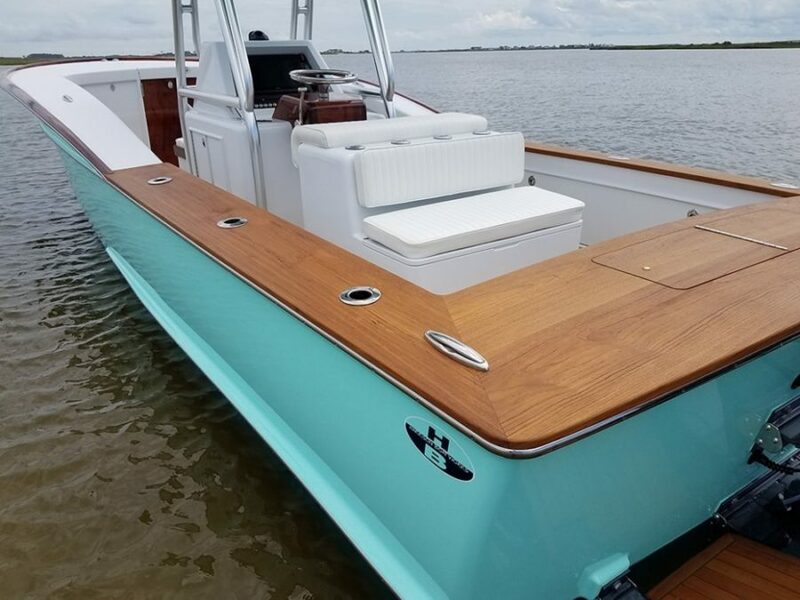 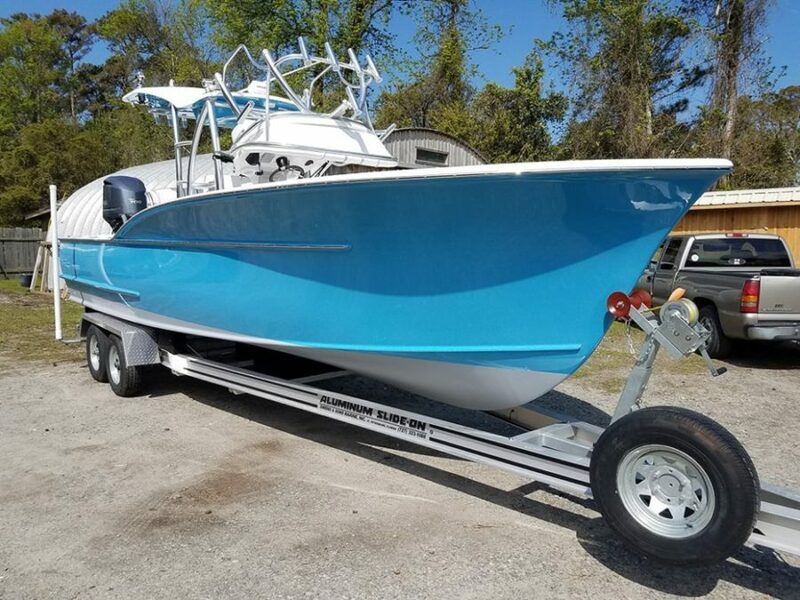 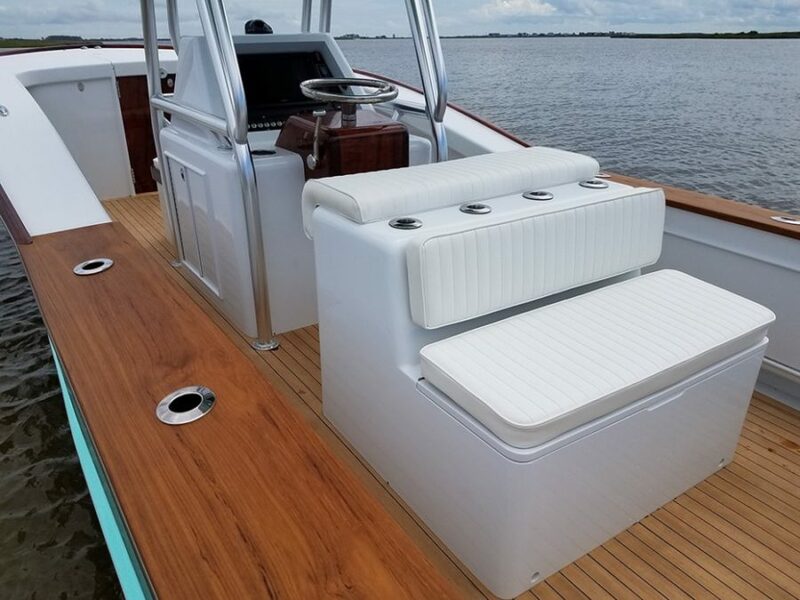 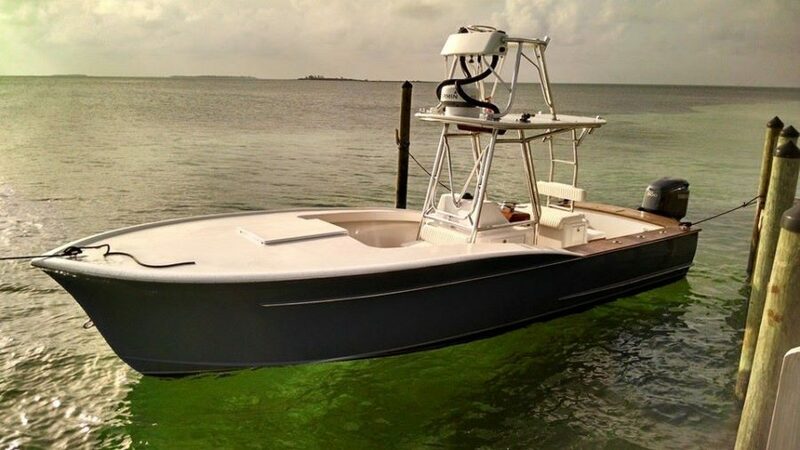 This boat can be configured in the Center-Console style, the Express style, or the Walkaround style, and can range from 23 to 31 feet. 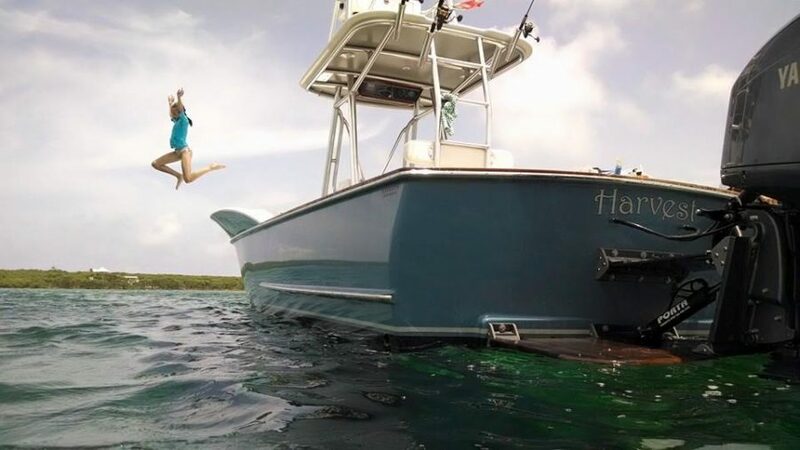 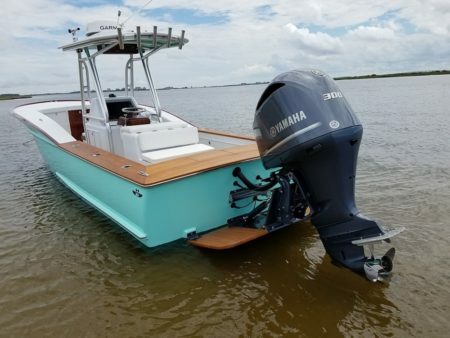 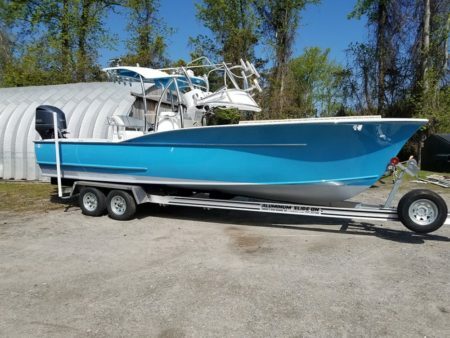 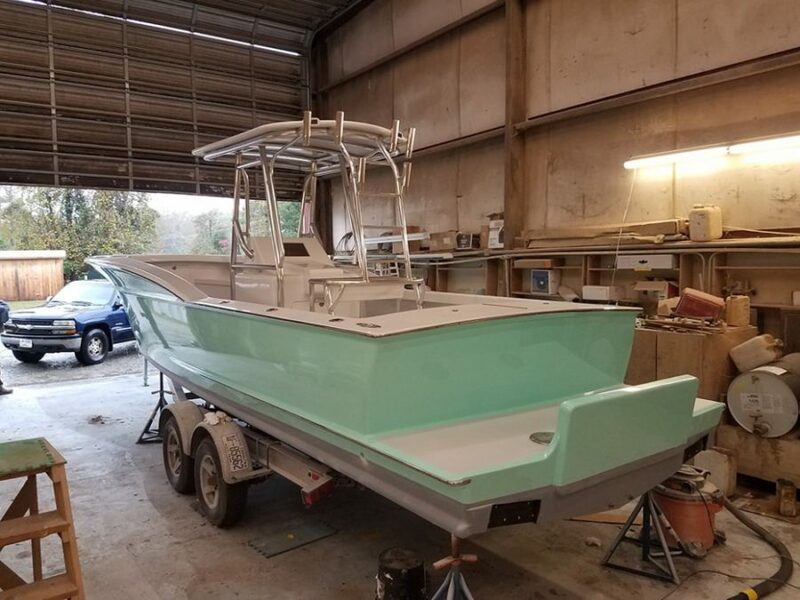 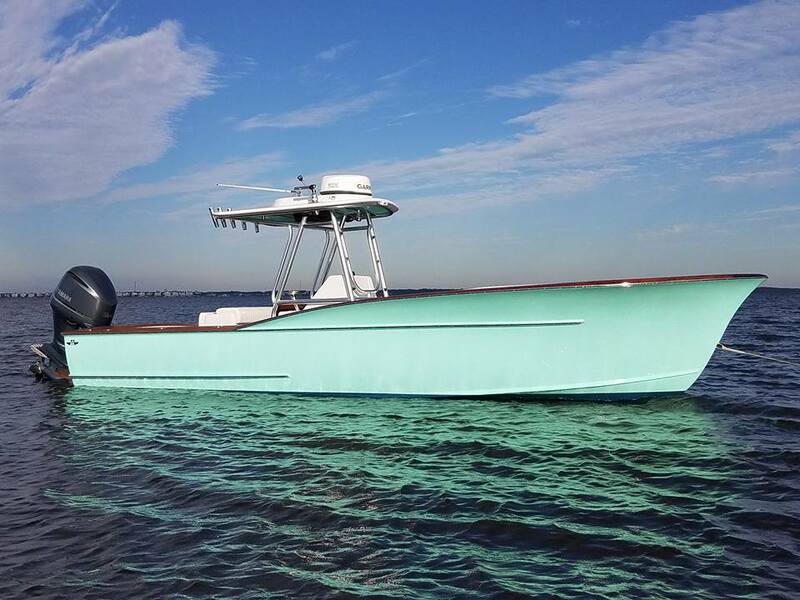 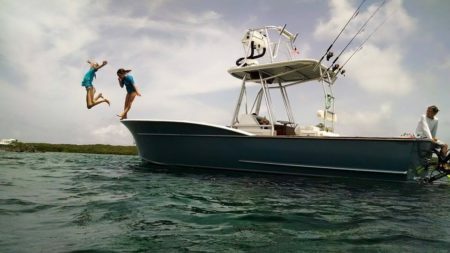 I’m really excited about the performance of the latest 28-foot center console. With a top-end speed of 38 knots, or 44 mph, she gets on a plane with ease and is very comfortable cruising at 30 knots. She is a trailerable offshore fishing boat with the feel of a big boat and the economy of a single engine. 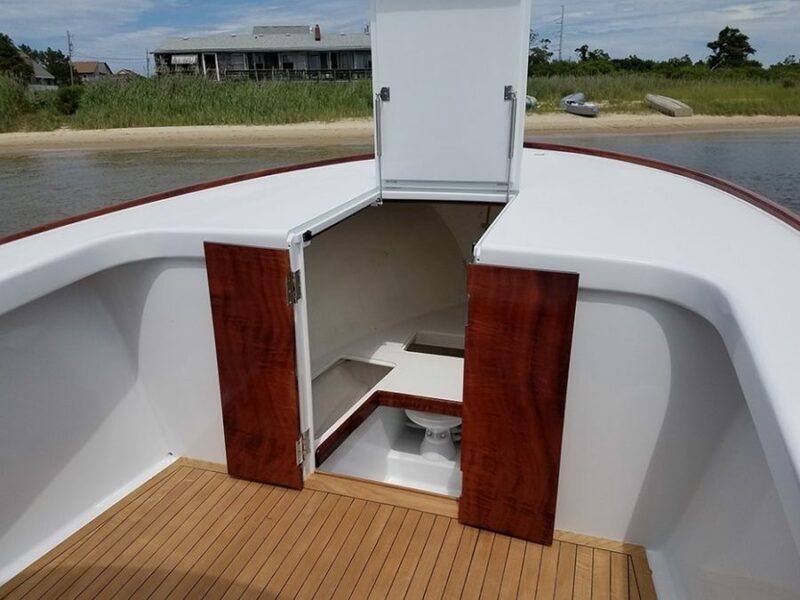 Interlocking plywood bulkheads, run both longitudinal and athwartship, glassed to the hull, creating superior strength and a unibody construction.